A brush that will last and last - a great gift idea too. Super cool color combinations, that will match everyone''s stable colors! 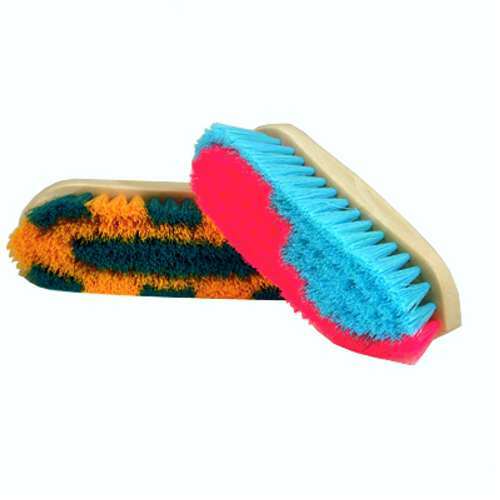 These fun, colorful brushes have medium-firm nylon bristles and a synthetic back. Comes in two sizes to fit everyone.